What are the advantages of having a Linksys cloud account? The Linksys Smart Wi-Fi is a free service bundled with the Linksys Smart Wi-Fi Routers. This application allows you to configure your router’s settings locally or remotely over the internet. It also lets you access your router remotely to view your home network or configure your router settings from anywhere as long as there is an active internet connection. After setting up the router, you can create a Linksys cloud account, which you will need to activate and associate with your router. It is accessible via a supported web browser or using the Linksys app. NOTE: The Linksys app supports Android™ and iOS devices. You can download the Linksys app from Google Play™ or the App Store®. When you create a Linksys cloud account for the first time, it is recommended that you are connected to your Linksys Smart Wi-Fi Router in order to associate your new account. Additionally, you can also access the Linksys cloud account locally or remotely. For more information, click here. 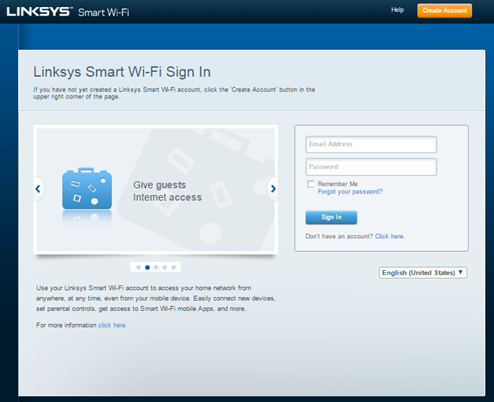 Open a browser and enter “linksyssmartwifi.com” in the Address bar and press [Enter] to access the login page. Click the Click here link. Create an account. Enter the necessary information in the fields provided. Read and accept the End User License Agreement, Terms of Service, and Privacy Statement then click Create My Account. You will receive an email that will ask you to activate your account. Checking the Send me information about Linksys products, services, and special offers box is optional. If the page appears distorted (e.g. there are no entry fields to type in), refresh the page or try using a different web browser as there might be plug-ins or add-ons that are out-of-date. Check your email. Open the message from Linksys Smart Wi-Fi Mailer. NOTE: If the message is not found in your Inbox, check the Junk or Spam folders. If you haven’t received or deleted the message, click here for instructions on how to resend the validation email. Activate your account. Click the link in the email you have received to activate the Linksys cloud account you have just created. This will open a new window that will take you to the Linksys Smart Wi-Fi page. You will see the Account is now validated message, once the account is validated. Click on the here link to log in. NOTE: You can also click the button at the upper corner of the window. Log in. 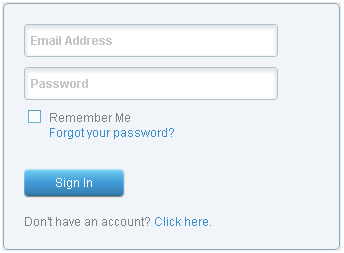 Enter the Linksys cloud account Email Address and Password you just created then click Sign In. Associate Router. Associate your router to your account by entering your router's administrative password in the space provided and click Ok. The Router Password is set to admin by default. However, if you have changed it, use the current router password instead. Router association can only be done when you're currently connected to your home network. Associating your account remotely is not possible. If you encounter several failed log in attempts, this may lead to your account being temporarily suspended. In case you forgot your password, you can try recovering it. 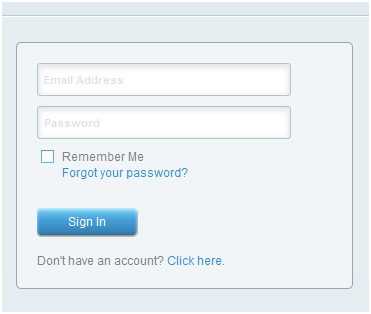 For instructions on how to recover your account password, click here. 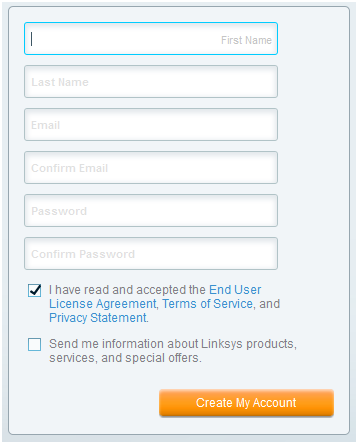 You have now successfully created your Linksys cloud account and associated it with your Linksys Smart Wi-Fi Router. Now you can manage your Linksys Smart Wi-Fi Router using your Linksys cloud account from anywhere via a web browser or using the Linksys app.